Elipe Dharma Rao, J. – As the issue involved in all these three tax cases appeals are one and the same and they are inter-connected, they were heard together and disposed of by this common judgment. 2. The appellant-society has preferred these appeals aggrieved by the common order passed by the Income-tax Appellate Tribunal (in short “the Tribunal”), dated October 5, 2007. The relevant assessment years involved in these appeals are 1997-98, 1998-99 and 1999-2000. 4. The assessee, a co-operative society dealing with marketing of agricultural produce of members, selling of liquor and sale of consumer goods, filed its return for the assessment years 1997-98, 1998-99 and 1999-2000 and initially the assessments for all these years were completed under section 143(1) and the returns under section 143(1)(a) were processed on March 6, 1998, February 25, 1999, and March 8, 2000, respectively. Later on, the Assessing Officer noticing that the exemptions claimed by the assessee in respect of income earned on the sale of liquor amounting to Rs.2,14,978, Rs. 14,88,000 and Rs. 1,83,153 for the three years, respectively, which are not eligible for deduction under section 80P of the Income-tax Act, 1961 (in short “the Act”), issued notice under section 148 to reassess the income. In the income adjusted statement filed subsequently on February 14, 2003, along with the return of income, which was in response to the notice under section 148, the assessee has claimed deduction under section 80P(2)(d) on the interest income on investment and on the reserve fund interest received from the Erode District Central Co-operative Bank. The aforesaid two fresh claims made subsequent to the original return of income were rejected by the Assessing Officer by relying on the decision of the Supreme Court in CIT v. Sun Engg. Works  198 ITR 297/64 Taxman 442. Ultimately, the Assessing Officer by order dated March 29, 2004, held that the assessee is not entitled for deduction on the income from consumer goods sales and the income from liquor sales under section 80P(2)(a). However, the Assessing Officer allowed the deduction under section 80P(2)(c)(ii) of Rs. 20,000, Rs. 20,000 and Rs. 50,000 for the three years, respectively. Aggrieved by the aforesaid order of the Assessing Officer, the assessee preferred Appeals Nos. 112, 113 and 114 of 2004 before the Commissioner of Income-tax (Appeals), who, by order dated October 8, 2004, confirming the findings rendered by the Assessing Officer, rejected the appeals. 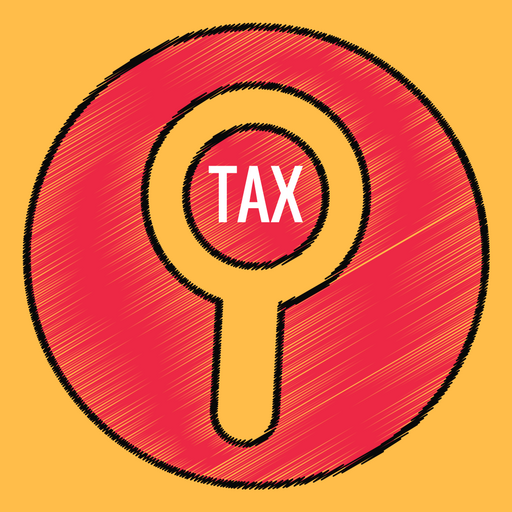 As against the order passed by the Commissioner of Income-tax (Appeals), the assessee preferred I.T.A. Nos. 67, 68 and 69/Mds. 2005 by contending that the orders of the authorities below in reopening the assessment under section 147 and denying the exemption under section 80P of the Act in respect of the interest, received from a co-operative bank and also in refusing to allow the corresponding expenditure regarding sale of liquor and articles by public distribution system are against the provisions of law and contrary to the facts and circumstances of the case. The assessee also contended that reopening of the assessment beyond four years is not valid in law. The Tribunal, after hearing both sides, by a common order dated October 5, 2007, following the decisions of the hon’ble apex court in Asstt. CIT v. Rajesh Jhaveri Stock Brokers (P.) Ltd.  291 ITR 500/161 Taxman 316 and Sun Engineering Works (supra) rejected the appeals confirming the decision of the authorities giving rise to filing of the present tax case appeals. “1. Whether the Tribunal was right in holding that the claims made by the appellant in the return of income filed in response to the notice under section 148 of the Income-tax Act cannot be entertained since it amounts to a fresh claim ? 2. Whether the Tribunal was right in holding that the deductions claimed are not allowable on the merits of the case, viz., (a) interest income is not allowable as deduction ; (b) income on liquor sale and income from consumer goods ? 6. Heard the learned counsel appearing for the parties and perused the materials on record. 7. The assessee, a co-operative society, is engaged in the business of marketing of agricultural produce of members selling of liquor and sale of consumer goods. The assessee has submitted its return of income in October 1997, 1998 and 1999 respectively and the same were processed under section 143(1)(a) resulting in “nil” demand after adjusting payment made under section 140A of the Act. In the return of income, the assessee had claimed exemption under section 80P from the sale of consumer goods and on the sale of liquor. Noticing the exemptions claimed by the assessee, which are not eligible under the Act, the Assessing Officer reopened the assessment after issuing notice to the assessee dated January 17, 2003, under section 148 of the Act. In response to the said notice, the assessee filed adjusted statement on February 14, 2003, claiming deduction under section 80P(2)(d) on the interest income on investment from the Erode District Central Co-operative Bank and on the reserve fund interest received from the above bank. These fresh claims made by the assessee were rejected by the Assessing Officer by relying on the decision of the hon’ble Supreme Court in Sun Engg. Works (supra), which was confirmed by the appellate authority as well as by the Tribunal. This concurrent finding rendered by the authorities as well as the Tribunal is attacked by the learned counsel for the assessee by contending that the Tribunal has committed wrong in rejecting the claims in respect of exemption on the sale of liquor and produce on the ground that the same were not claimed in the return originally filed by the assessee but claimed in the return filed in response to the notice under section 148 of the Act. It is his case that the initial claim was never considered since the proceedings were completed under section 143(1) and in effect, the present assessment is the regular assessment made on the assessee and, therefore, the claim made in response to the notice under section 148 cannot be rejected at the threshold itself. In support of such contention, the learned counsel has relied on the decision of the Supreme Court reported in ITO v. K.L. Srihari (HUF)  250 ITR 193/118 Taxman 890. It is also contended by that the claim relating to interest received from co-operative banks and the allowance of corresponding expenditure regarding sale of liquor and articles by public distribution system against the income therefrom are legally valid in law and the rejection of the said claim on the ground that they were not part of the original return of income is unjustified. 8. It is not in dispute that the assessee, while submitting its original return for the years 1997, 1998 and 1999, has not claimed any deduction under section 80P(2) on the interest income on investment from the Erode District Central Co-operative Bank and it is a fresh claim made after issuance of notice under section 148. When there is no dispute that the claim made by the assessee with regard to the interest income on investment was not made in the original return and only a fresh claim was made for the first time in the return filed in pursuance of notice under section 148 of the Act, as rightly held by the hon’ble Supreme Court in Sun Engg. Works’ (supra) case such fresh claims cannot be allowed as the proceedings under section 147 were for the benefit of the Revenue. 11. In view of the above, the first substantial question of law is answered in favour of the Revenue and as against the assessee. 12. The next question relates to deductions claimed on interest income as well as the liquor sale. The second limb of the question relates to deduction in respect of income of co-operative societies dealt with under section 80P of the Income-tax Act. Admittedly, the deduction claimed in respect of sale of liquor does not fall under the categories stipulated in section 80P(2) of the Act and, therefore, the Tribunal has rightly rejected the claim of the assessee with regard to the sale of liquor. 13. So far as the deduction claimed by the assessee in respect of income from consumer goods sales is concerned, we are of the opinion that the authorities as well as the Tribunal have committed wrong in disallowing the same. 14. Before going into this question, it would be beneficial to look the background of section 80P and the judicial pronouncement of the hon’ble apex court in this regard. “80P. Deduction in respect of income of co-operative societies—(1) Where, in the case of an assessee being co-operative society, the gross total income includes any income referred to in sub-section (2), there shall be deducted, in accordance with and subject to the provisions of this section, the sums specified in sub-section (2), in computing the total income of the assessee. (iv) to (vii) omitted as not necessary. 16. Prior to 1994, several High Courts as well as the hon’ble Supreme Court had construed section 81(i)(c) and section 80P(2)(a)(iii) and held that the benefit of exemption was available to all the co-operative societies from the village to the apex level. This was also the view taken by the Kerala High Court as expressed in CIT v. Kerala State Co-operative Marketing Federation Ltd.  193 ITR 624/65 Taxman 246 (Ker). The view was reversed by a Bench of the hon’ble Supreme Court in Assam Co-operative Apex Marketing Society Ltd. v. Addl. CIT  201 ITR 338/69 Taxman 449 wherein it was held that the object of section 81 was to encourage basic level societies and that, therefore, the phrase “produce of its members” must refer to agricultural produce actually “produced by its members”. It was also held that unless this interpretation were given, co-operative societies of traders would also become entitled to exemption which could not have been the intention of Parliament. As a result, of the decisions in Assam Co-operative Apex Marketing Society case (supra), who had enjoyed the deduction under section 80P till then, was reassessed to tax on its profits and the assessments in respect of the assessment years from 1986-87 to 1994-95 were reopened. (iii) the marketing of agricultural produce grown by its members, or'”. 20. The Bill was passed after obtaining the assent of the President and became the Income-tax (Second Amendment) Act, 1999 (Act 11 of 1999). 21. The above amendment was challenged before the Delhi High Court under article 226. They prayed for a declaration that the 1999 Amendment Act in so far as it seeks to retrospectively amend section 80P(2)(a)(iii) of the Income-tax Act, 1961, was unconstitutional, and for an order to restrain the respondents from seeking to assess or reassess the appellant society in respect of any previous year prior to the date of the enactment of the Amendment Act. 22. The Delhi High Court dismissed the writ petition holding that the amendment was valid and that the Legislature was competent to retrospectively take away a benefit granted earlier by an amendment of the law. However, the court recorded the statement of the Solicitor-General appearing on behalf of the respondent authorities that the amendment would apply only to assessments which were yet to be finalised. 23. From the aforesaid decisions of the hon’ble Supreme Court and the discussions made therein, it is apparent that the amendment which was brought in 1999 has became as the Income-tax (Second Amendment) Act, 1999 (Act 11 of 1999), and on recording the submission made by the Solicitor General before the Delhi High Court when the amendment was impugned, it was made clear that the amendments would apply to the assessments which were yet to be finalised. 24. In the present case, the assessments were of the year 1997, 1998 and 1999 and, admittedly the assessments were finalised in 1999 and it were reopened by issuing notice dated January 17, 2003, under section 148 of the Act. Therefore, the present case falls within the assessments finalised before the amendment and no doubt the assessee is entitled for deduction. 25. This issue can also be viewed from another angle. All along it is the case of the assessee that the society is eligible for deduction under section 80P(2)(a) towards the income from consumer goods sales. The Assessing Officer in his order dated March 29, 2004, for rejecting the claim of the assessee that it is not entitled for deduction towards the income from consumer goods has not given any reason. Simply, while calculating the deductions under the column less a sum of Rs. 20,000 was shown as deduction, which is admissible under section 80P(2)(c) wherein the co-operative society engaged in activities other than those specified in clause (a) or clause (b) are eligible for such deduction. The Commissioner of Income-tax in its order dated October 8, 2004, by observing that the claim is not in accordance with the provisions of section 80P(2) and the Assessing Officer has rightly withdrawn the allowance made under section 80P on income from sale of consumer goods has rejected the claim of the assessee. The Tribunal without assigning any reason has just upheld the order of the authorities. When it is not in dispute that the agricultural produce are grown by its members and fall within the category (iii) of section 80P(2) and, moreover, the goods are meant for public distribution we have been left with no other option than to set aside the order of the authorities as well as the Tribunal on this score. 26. In view of the above, the second substantial question of law is partly answered in favour of the assessee so far as it relates to the deduction claimed on income from consumer goods. The order of the Tribunal is set aside to this extent and confirmed in all other aspects. 27. In the result the first substantial question of law is answered in favour of the Revenue and the second substantial question of law relating to interest income and the income on liquor sale is answered in favour of the Revenue. So far as the second substantial question relating to income from consumer goods is concerned, it is answered in favour of the assessee. Accordingly, the tax case appeal is disposed of to the extent indicated above. No costs. This entry was posted in Section 147, Section 80P and tagged 357 ITR, fresh claim under section 148, In favour of Assessee, Madras High Court.